LOVELY AND FRESHLY PAINTED, ONE LEVEL TOWNHOME W/ONE CAR GARAGE. Numerous upgrades including lighting, fans, granite countertops, SS appliances, chair rail in great rm, jetted tub w/shower and tile surround in master bath, tile floors in baths and kitchen, engineered wood in all other rooms, plantation blinds on windows,patio doors and front storm door have blinds between glass, MUCH MORE! MUST SEE! APPT NECESSARY. Listing information © 2019 Triad MLS, Inc. All rights reserved. 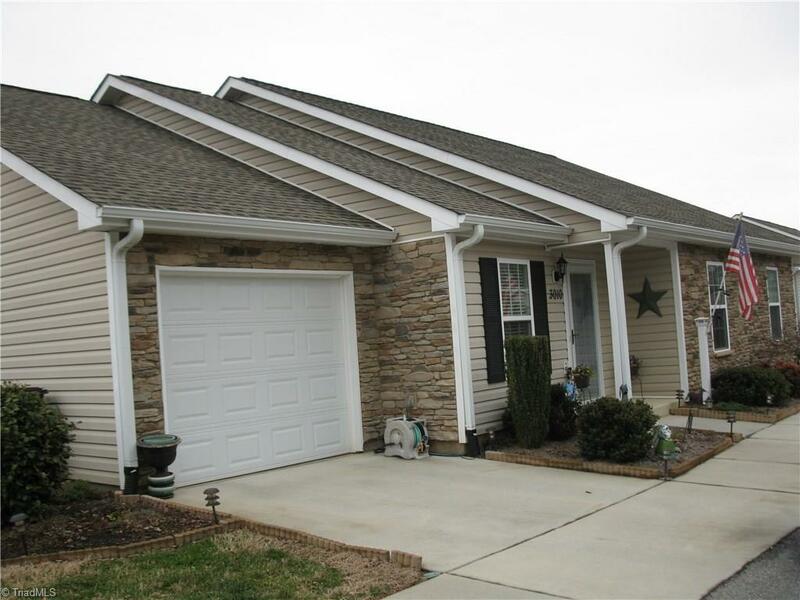 Listing provided courtesy of Piedmont Triad Properties. Information deemed reliable but not guaranteed.